Sign up starts at 8:30 and match starts at 9:00 A.M. Cost of the match is $20 per shooter. This shoot is limited to 20 shooters only. This match will consist of 3 stages with 30 rounds of mixed ammo per stage. 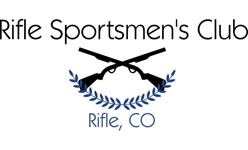 Shooters may bring your choice of rifle, pistol and shotgun. All rounds for shotgun must be lead only no cooper coated shot. Shooters will need to bring slugs at least 10 and lead only. There is to be no green tipped rifle ammo used at these matches. Green tip generaly means steel pin ammo. Due to the popularity of this match we limit the match to 20 shooters only so if you dont sign up you dont shoot.